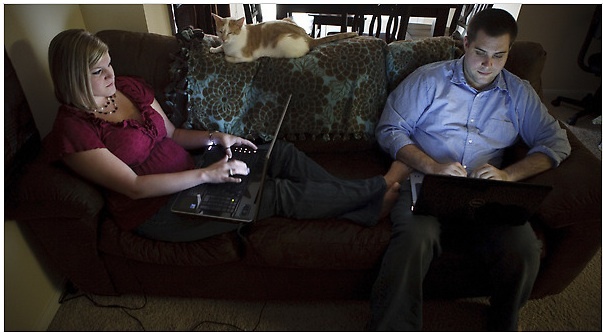 Thanks to Facebook, couples no longer need to leave the house to fight in public. (Thanks, Technology!) If you’re friends with people like this, you’ve probably wondered, “What the hell are they thinking? Don’t they know we can see this?” Turns out, yes, they do, and for many of them, that is the point. Facebook fighters I spoke to said they are trying to get their side of the story out there, so you can either play Marriage Ref (ugh), or at least sympathize with how awful their significant other is. The shocker? Turns out this kind of behavior might not really be so healthy for a marriage. I know, right? In today’s Style section, I Need to Vent. Hello, Facebook.